Increase efficiency by adding frequently used Qwilr Pages as templates on your account. How do I edit templates? How do I remove a template? 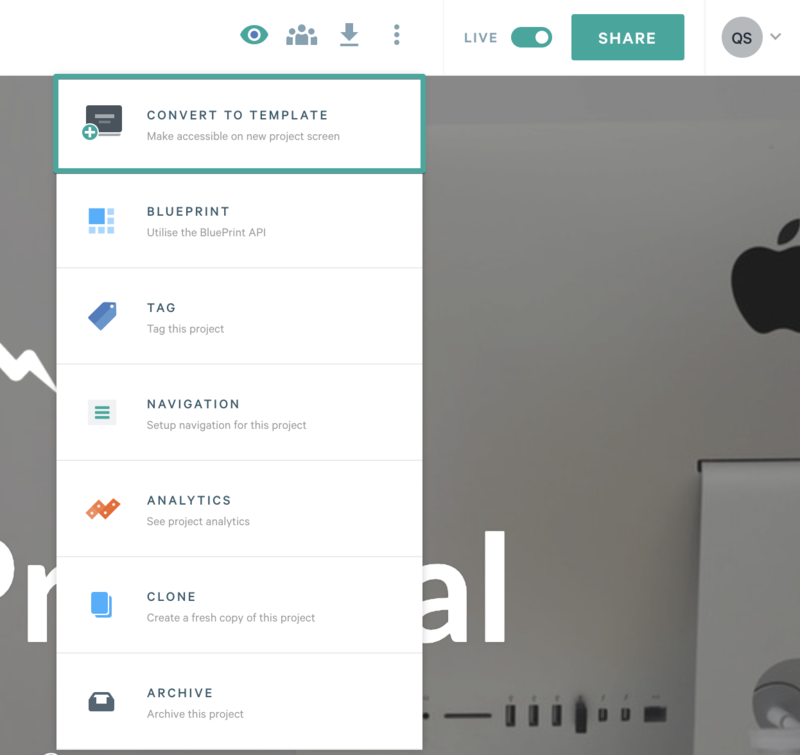 To add a project as a template, click the more dropdown while editing the page, then click the first option titled Convert to Template. Once an admin has added a Qwilr Page as a template, it can be found in the use template screen. To find them, first click the use template button on the dashboard, and then ensure My Templates is selected from the menu on the left hand side. To edit a template, navigate to "My Templates" on the use template screen, select the template, and click the edit button at the top right. How do I remove it as a template? To remove a template, click the more menu in the editor, and click Remove from Templates icon. This will then make it a regular project, and it will show up on your dashboard.